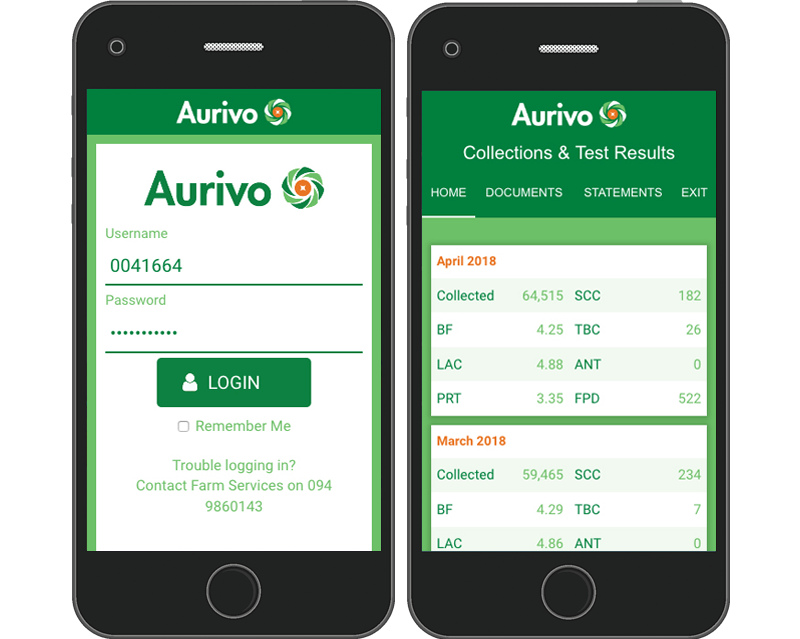 iOS and Android Hybrid App allows milk suppliers supplying Aurivo Cooperative Society Ltd in Ireland, to view their collection, lab and payment information. Web based application for all browsers, devices and platforms. 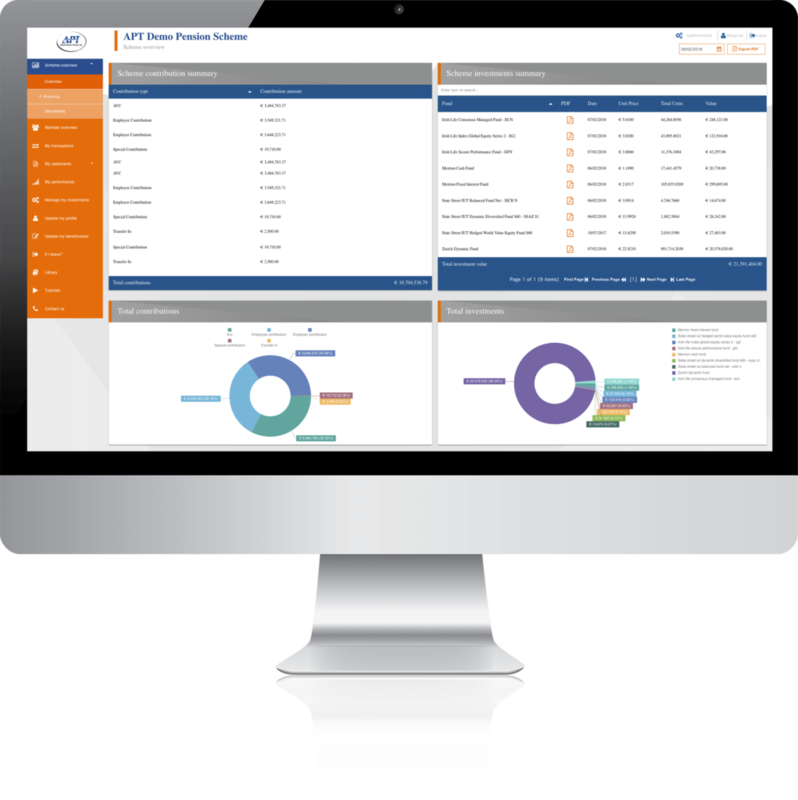 Designed and build to expedite the process of administration of pension information to their customers and specifically designed for staff members to be able to administrate, reports, investments, investment transfers, documents, clients, client data and much more.. 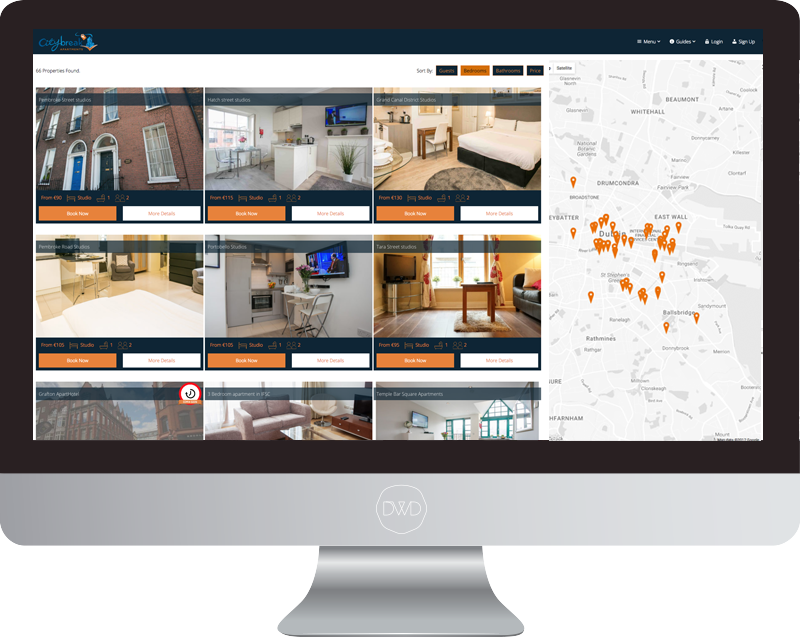 Custom built website application for renting properties, booking tours, corporate stays and group bookings. 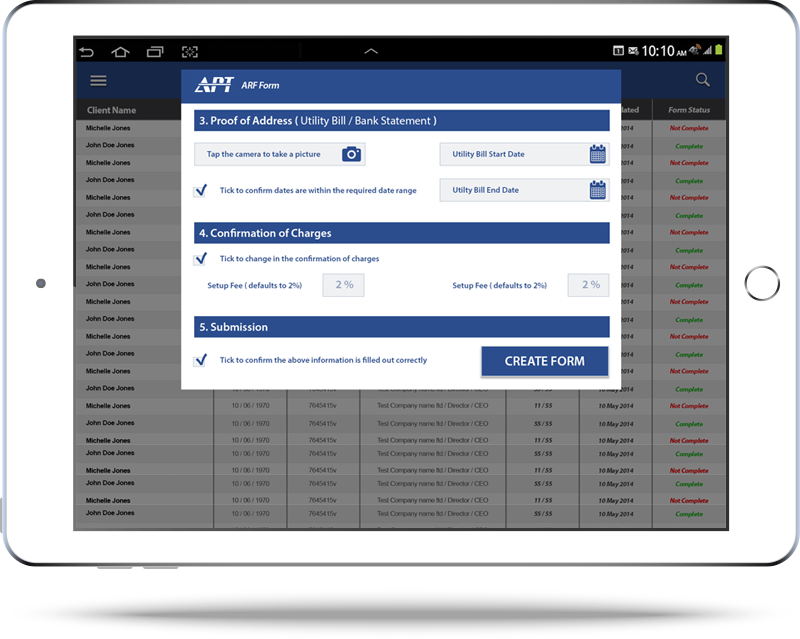 Android app built for Allied Pension Trustees for the process of ARF forms for reps on the road and in the office. Responsive website development for desktop, tablet and mobile devices with integrated shop. iOS and Android Hybrid App to help parents discretely and easily oversee their child’s introduction to online communication. Responsive website development for wordpress on desktop, tablet and mobile devices. How effective is your website? We will help you achieve your marketing goals through effective ux / ui design, bespoke functionality and online marketing. They say that first impressions last, The first impression most people have of your business is your logo and now your website so it is crucial to have these elements perfect and we can help with all aspects. Creating a custom animation or video is the fastly becoming one of the best ways to showcase to a customer your products or services in a quick snappy fashion. Get you business serious traction with a good intro video. Drive traffic to your website by achieving page 1 rankings in search engines for valuable keywords, create and monitor goals for sales revenues. IPhone, Android and Web, transforming ideas into cross platform apps. Mobile is the way that things are going, there’s no denying it. Here at Dublin Web Designers we offer a Design Agency / Company service. Here we can act as the technical end for projects development, meetings and on site and off site can be accommodated. Reach your audience in new ways through social media to build brand awareness, trust and loyalty. Maximize Returns From Your Website. Our website support services put at your disposal an entire team of in-house web design, development, marketing and maintenance experts 24/7. We provide a range of digital marketing services to all our clients. Such as advertising delivered through search engines, websites, social media, email, and mobile apps. "Been collaborating with Robert & Dublin Web Design for past 2 years. I've always found Robert a pleasure to deal with & coming up with new designs to fit what our company is trying to achieve. Launched our new site in the 3rd Quarter 2017, Excited with website and it's future potential. We will continue to partner with DWD team." "We transferred to Robert Norton and his team in DWD in August 2015. Robert completely re-designed our website thereby making our site more user friendly, professional and accessible to our members. Robert gave us great suggestions on how the website should look as well as increasing functionality. Since this time, we have found DWD to be very efficient, full of innovative ideas with an excellent working relationship. We have no hesitation in recommending DWD to future customers." "Robert and his team at Dublin Website Designers worked really hard to provide me with exactly the website I need to promote my mindfulness business , not easy as I had little experience or understanding of what is required for online presence and selling. Recently I really appreciated the ease with which they provided troubleshooting support for me over a year after our contract ended. " "Giving the impression or the illusion that your company has its very own technical / web section can be very important for growing businesses. Wheather tendering for new jobs, large projects or trying to expand into different areas of business this service is essential. “Dublin Web Designers has been a pleasure to work with and I would warmly recommend them for any high visibility online communication project. I am particularly impressed by the mix of good project management skills they offer. Very efficient and perfectly capable to deal with serious time constraints, they’ve met all our expectations and beyond." "We have worked with Dublin Web Designers on many website projects over the last few years. 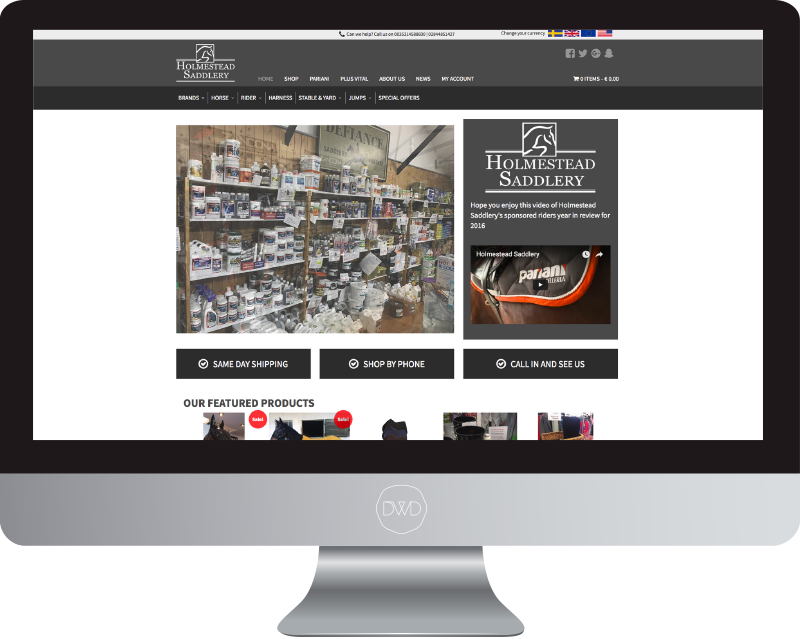 They follow our designs accurately with great attention to detail, ensuring a bespoke website for our customers. They are professional in all aspects of work and I would not hesitate to recommend Dublin Web Designers to anyone. 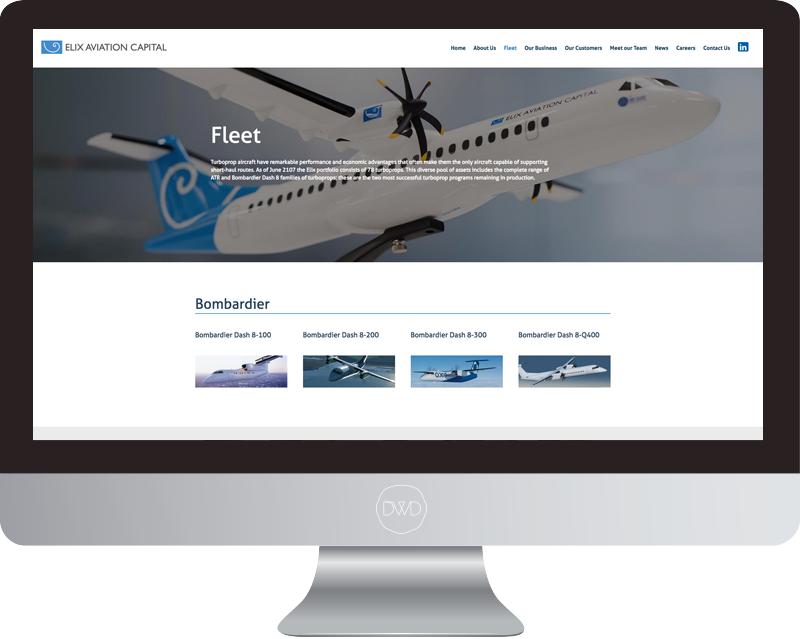 They have a brilliant understanding of what our customers require and can easily translate this into creative and interactive websites with excellent customer care. The support and service to date have been to the highest standard." Our agency is based in Dublin, Ireland and comprises experienced designers and developers of websites, mobile apps and software, helping small businesses to market their services in a creative, yet professional manner. Only the latest technology is utilised across all services, ensuring that your company benefits from the best online presence. 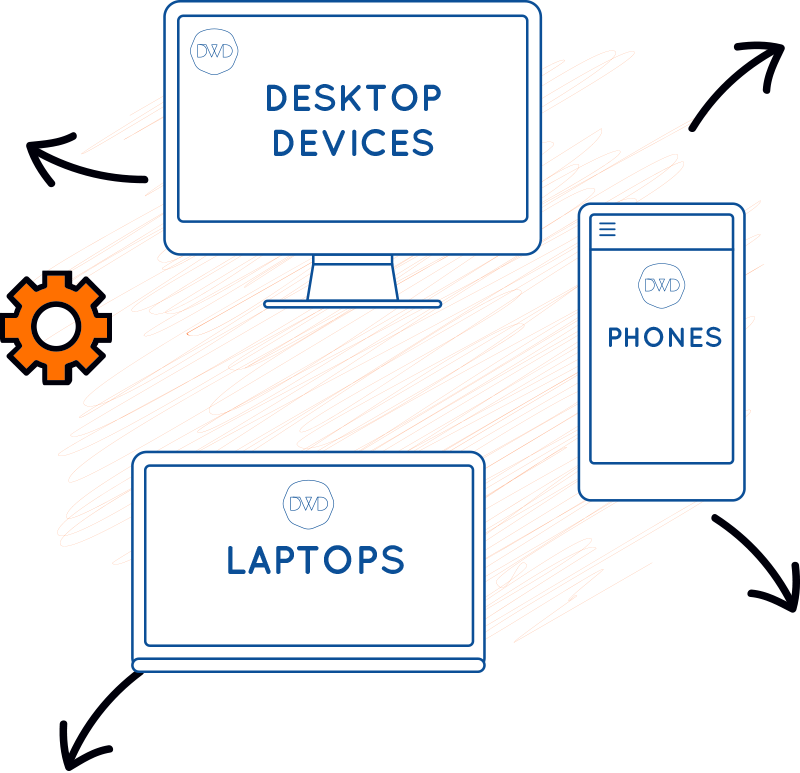 If you are looking to reach customers on the go, we can help you to design and build a fantastic responsive website which will adapt seamlessly regardless of whether your users are browsing on their desktop PC, tablet, or mobile phone. Our expertise also extends to the development of web applications, software, and smartphone apps, so you can reach potential customers with ease. Bored of your branding? Why not refresh your business and give it a new identity? With talented graphic designers in-house, we can give your company a great new look with a fantastic logo, branded materials and even animations which you can spread far and wide. When you’re happy with your branding and website design, there’s still so much more which can be done to develop your firm and place it in the public eye. How does your website perform online? Can people find you? Does your target market engage with you on social media? Why not talk to us about our SEO (Search Engine Optimisation) services? We’re here to help you build your online presence and establish yourself as a leading player on the best-known search engines. By driving traffic to your website, Dublin Web Designers can help you to turn a prospect into a loyal customer. Have you built up a following and now wondering how best to engage with your loyal clients? Our social media management services are here to help you do just that. We can help to build rapport with your clients and engage their interest so you can work your magic.